The name of Jesus is without a doubt the most controversial name in human history. The US Supreme Court, which seems to be the moral compass of a secular, mostly anti-Christian country, will now look at the case of Town of Greece v. Galloway/Stephens. The court will decide whether it is constitutional for someone to open a public meeting with a prayer addressed to the God of the Bible, and whether this constitutes the endorsement of Christianity by government. A couple in Greece, NY, have made it a 5-year fight to stop public prayers, especially in the name of Jesus. Even though the town has brought in non-Christian clergy to perform opening prayers, the plaintiffs are still upset that non believers have to hear the name of Jesus mentioned at the start of a city-council meeting when a Christian prays. They hate God and therefore they hate Jesus. They cannot bear to hear to hear the name of Jesus uttered in their presence. They are rabidly fighting in this spiritual conflict on the side of darkness. As Gospel-believing Christians we are not surprised nor shocked at this development. In fact there is a good possibility that the Supreme Court will give in and ban the prayer in the name of Jesus at public meetings throughout the US. In the mean time, when you mention the name of Jesus in a public declaration be aware that you are engaging in spiritual warfare. Assume the entire spiritual armor found in Ephesians 6, and be prepared for controversy and attacks. You are not alone in this. The Holy Spirit is with you to deliver you to victory. As a father of three young children I shutter when I read things like this in the Bible. So great was the idolatry of Israel that they have resorted to child sacrifices to appease Molek and other gods of the nations surrounding Israel. How can a parent bring themselves to the point of placing their small child on the outstretched arms of a white-hot bronze statue of Molek that has been pre-heated in fire? The child would be roasted alive, perhaps catching fire immediately upon contact with the white-hot metal. Some say these claim are an invention of Jewish and Christian imagination and that there is no concrete evidence for child sacrifice in the ancient Middle East. Archeological discoveries of cremated bodies of hundreds of children, baby lambs and goats at a Carthaginian burial site provides substantial evidence for child sacrifice by fire. The Phoenicians have been known to worship deities who demanded child sacrifice in exchange for future fertility. The abomination of abominations is continuing today in the slaughter of the unborn. They are a helpless third-party with no representation as two other parties (mother and abortionist) independently make a decision for their demise. As Christians, we must continue to point to this injustice and pray that the Holy Spirit would open eyes and minds to see the priceless beauty of life. 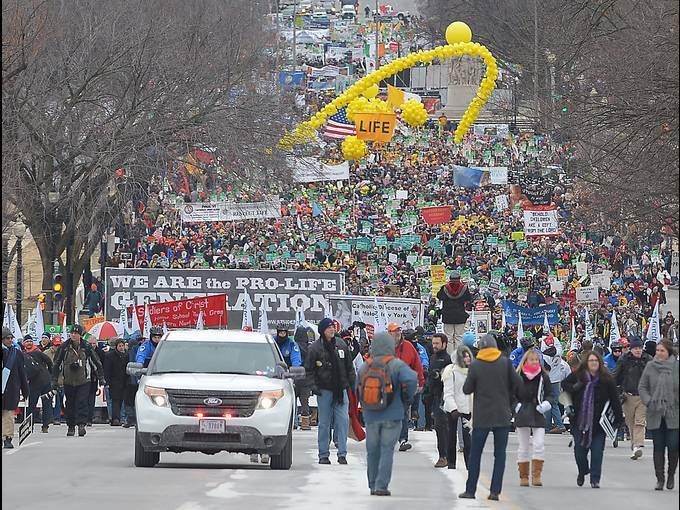 The Pro Life movement has been invigorated in recent years like never before. It is now moving in the direction of the Civil Rights movement, that is a Right to Life cause, despite the fact that abortion legality is here to stay. The line has been drawn in the sand 40 years ago, but as the Bible tells us, in the last days we are seeing an increasing separation between good and evil. The contrast has never been greater on the issue of the unborn, primarily because many young people are beginning to see the evil of abortion that their parents ignored. 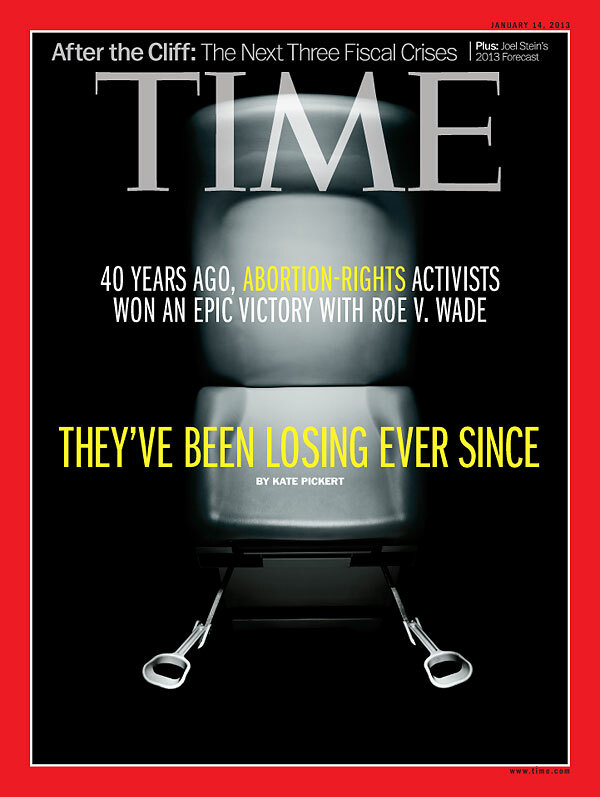 Many of the staunched feminists of the Roe v Wade era have passed, and the new wave of abortionist feminism is not nearly as dedicated to their cause as the previous generation. The recent TIME Magazine article on this topic explains the reasons for it. But the mainstream media will not let you hear of it. At the superficially covered ‘March for Life’ event in Washington this week where 500,000 pro lifers participated, there was a higher percentage of young people compared to previous marches. These Christians have made their stand for the fundamental right to life. And all the pro-life websites are taking notice. He called for this new generation to be part of a great “revival” for the country centered on justice and compassion, seeing the present state of the nation as being in moral peril. I have seen this polarization in my medical career. I have NEVER met a doctor in my generation who specializes in abortion. All the abortion doctors I know are from the previous generation, and they are about to retire. In fact many of them are way past the retiring age because the system NEEDS them and will not let them retire. New doctors coming out of med school do not want to do abortions. Many find it morally wrong, but most find it absolutely hideous. The idea is absolutely physically repulsive and is in stark contrast with our committment to healing. We will not become a tool of the abortionist activist movement. There is a song by Jesus Culture ( 😉 ) called ‘Break Every Chain’ that talks about an army rising up in the name of Jesus to proclaim the power that is in the name of Jesus. This young generation of believers may be the ones to finally match the abortionist’s activism… but do it in the name of Jesus. Roe v Wade will not be overturned. But the fight to limit it at the state and federal level is intensifying. On the spiritual front the fight is the fiercest it has ever been. Could we be seeing the beginning of a new spiritual revival… possibly the last one before Christ’s return? We have arrived here no matter how tolerant we claim to be as a nation. In light of pastor Louie Giglio’s force-out from giving the benediction at Obama’s second inauguration because he holds (or held) to orthodox biblical teaching like millions of Americans do, I ask, what happened to our intrinsic constitutional right to hold differing religious beliefs and opinions? Why is Giglio who holds (or held 15 years ago) the belief that homosexuality is sin being forced from the public square? This has nothing to do with separation of Church and State. 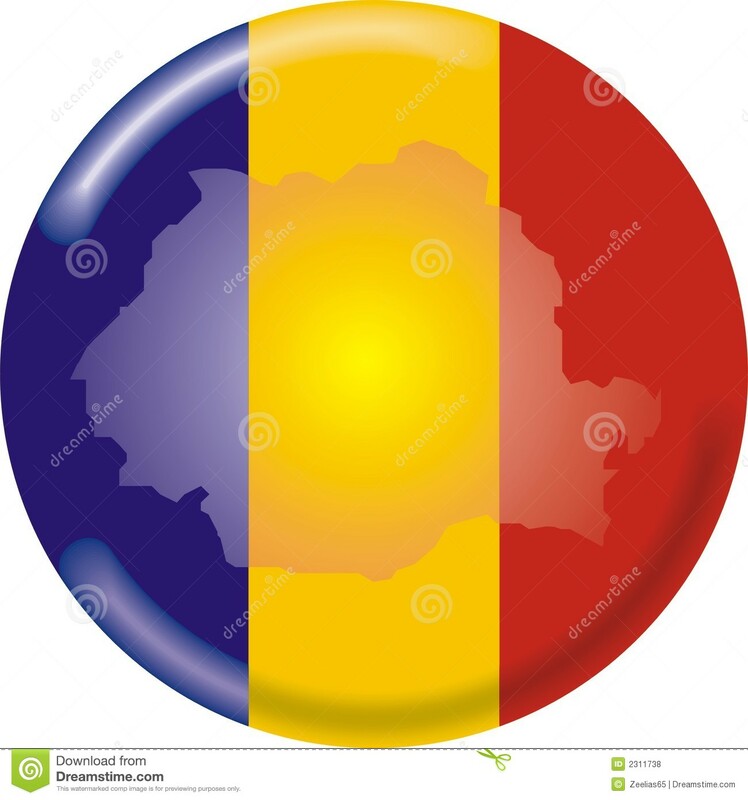 They are separate entities and we do not dispute that, therefore that argument goes out the window. This has to do with the fact that many Christians view alternative life styles as sin based on Scripture. The very people who preach tolerance to conservative Christians are the ones guilty of intolerance now. Obama needs to stand up to his left-wing supporters and outline the fact that the Constitution’s vision is one of pluralism. They ask us to “coexist” on bumper stickers, and now we ask the same. But I am afraid this situation developed because of truth. A commentator called me mr. Truth probably because I hold tight to Biblical truth. Truth does one of two things: it either convicts the sinner toward repentance or it hardens him/her. In the case of gay activists it is obviously the latter. They have gone as far as twisting Scripture to declassify homosexual relationships as sin. I believe that deep down, nature is revealing to them the sinful aspect of such relations, and they are trying to gain the approval of Christians who hold to historical and correct interpretation of the Bible, as if such approval would make things right. 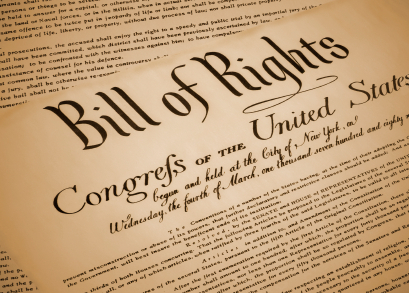 As born-again Christians led by the Holy Spirit are become a shrinking minority in the US, it is imperative that our constitutional rights are preserved and we are not forced out of the public square. But it probably is too late for that. Endorsing biblical views on sin and depravity got us labeled as bigots, even though we do not try to force our views on anyone. It is a matter of personal faith, and we evangelize to those who are willing to listen. So I ask again, who are the intolerant ones if not the ‘activists of tolerance’ who led to a forced withdrawal by Giglio? In another half-meant attempt to extend an “olive branch” to evangelicals, Obama asked Passion City Church pastor Louie Giglio to give the prayer at his 2nd inauguration as a reward for Giglio’s social work to end modern slavery. He was referring to a sermon from what he wants to make it seem like a long, long time ago, when he used to preach against the sin of homosexuality. He now wants to withdraw from the spotlight. A reasonable conclusion is that he does not wish to defend or debate the biblical truth he once proclaimed in the public square. On one of the hottest issues threatening to split churches and spread false teaching, Giglio, one of the most recognizable faces of the American Christianity, wishes to remain silent. Historic Christianity demonstrates that men of God have not been silent on issues of sin. Jesus Himself did not withdraw from the debate on sexual immorality in Matthew 19. Paul did not shy away from labeling homosexual relations as unnatural and idolatrous in Romans 1. Peter was bold in addressing immorality and false teaching in 2 Peter 2. Even Rick Warren did not withdraw himself from the debate, he actually craves it making the rounds an all the popular talk shows exposing a lukewarm position on the nature of homosexual relations. 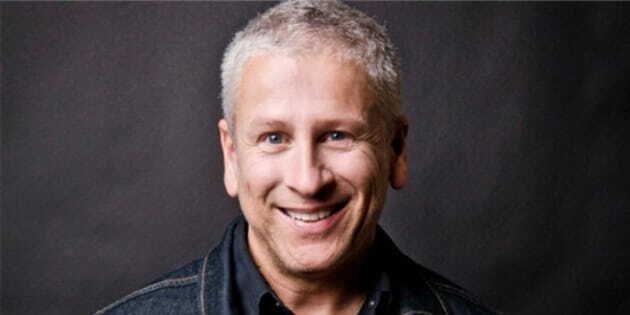 Why is Louie Giglio backing down? Why won’t he deliver a firm inaugural Christian prayer to God in the name of Jesus (not in the name of Islamic prophet Isa like Rick Warren did in his inaugural prayer) and let the storm rage around him? I had passed many times by this door. My naive mind always wondered why a door in the middle section of a hospital ward would have a “NOT AN EXIT” sign on it. “It should be obvious this is not an exit… it is right in the middle of a large a building… “ I thought. It was next to one of the elevators of a large level-1 trauma county hospital and very close to the obstetrics ward. Dozens of happy new mothers would pass by this door every week on the way home with a beautiful newborn baby in their arms. It was the summer of 2000, and I was a 24-year-old newbie medical student on the surgical clerkship when the issue of abortion finally became as real as it gets. It was time to rotate through the anesthesiology service as part of the surgical experience, and I was spending some time with a 2nd year anesthesia resident. We were on our way to prepare the obstetrics operating rooms for scheduled C-sections that day. “Hey, I’ll show you a neat short cut to the operating room…” he says. He headed straight for the mysterious door with the puzzling sign on it, and we entered. To my amazement it felt like I stepped into another world. I just went from a noisy environment of sick patients, infections, trauma, alcoholism and other plagues associated with county hospitals, into a large pre-operative waiting room filled with a dozen young and healthy looking women dressed in hospital gowns. The room was filled with a silence as thick as death itself. “They are waiting to get their abortions done” he whispered to me as we hurried on our way. My heart sank as I saw the nervous, worried and guilty looks on their faces. A few months later I returned to the “county” for my 2 month OB-Gyn clerkship, and during orientation the coordinator of the slaughter-house showed up. To this day I remember her first and last name, her face, and the air of feminist liberation in her voice. “We are excited you will spend a week with us in the abortion clinic where you will participate in these procedures which stand for freedom of choice for women” she said. There were 5 med students on that rotation, and to my surprise a female student echoed my sentiment. If I remember correctly she was a Catholic. Imagine the shock on the abortion coordinator’s face when light (the mention of faith in God) penetrated the darkness in her heart. She was hardened to the point where she could not understand why we did not accept the “greatest” achievement that has ever occurred in the feminist movement, the holy grail of their agenda- a woman’s right to terminate her baby. Thank God for another reasonable clerkship director who honored our request. Not all Christians are quite so fortunate. There are reports in the media of nurses who lost their job because they refused to participate in termination of pregnancy. They underwent legal recourse and lost that too. By the grace of God I spend one week there without participating in the murder of the unborn. I spoke to many teen girls who were about to undergo abortion. I even tried secretly, yet unsuccessfully, to show them other options. Ultimately, God taught me a lesson as He turned an anxiety provoking situation into a blessing. In the end I earned an “honors” grade in Ob-Gyn. It was a lesson that God wanted to teach me. To put my trust in Him, and He would deliver me against evil. Well, TIME magazine has a predisposition to exaggerate, and add shock value to their covers. It started in 1966 when they claimed in big bold letters on their cover: “GOD IS DEAD.” That title was laughable. This one is NOT. “GOD IS DEAD” was laughable because we know that God is exactly where Isaiah saw him “high and lifted up,” and where John saw him in Revelation chapters 4 and 5 receiving the worship of angels, elders and heavenly creatures. This title however, is built on the 55 million babies who were slaughtered in their mothers wombs since Roe v. Wade legalized abortion. 55 million murders of tiny persons was not enough for the abortion platform to declare victory. These abortion activists must be living in a parallel universe! Here are the numbers again: 55 million aborted, that is 1,375,000 million abortions per year! Almost 40% of the US female population has had at least one abortion! There is one point in the article which is true. As a physician in a metropolitan area, I know hundreds of other physicians, and there are thousands of physicians in my city. Among all doctors, there are only two who provide abortions. One is in his 80’s and another is probably in his 70’s. The new generation of physicians are grossed out by abortion and they do not want to do it. We view it as a creepy field to specialize in, and therefore we now have a dramatic reduction in those willing to provide abortions. An unborn baby exhibits the qualities of a PERSON. He is filled with the Holy Spirit. He is able to experience the fruit of the Spirit (Gal 5:22), joy. He leaped for joy! How can any Christian ignore such strong language? Many Christians will only read about abortion. They will never encounter abortion other than being aware of the statistics.